Veterans in Blue 2017 is now available online. 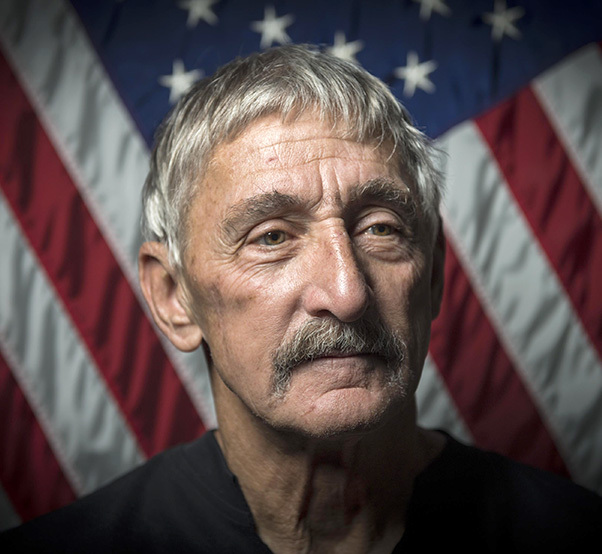 First launched in 2010, Veterans in Blue is a portrait collection showcasing men and women who have contributed to the security of our nation and the legacy of the Air Force. 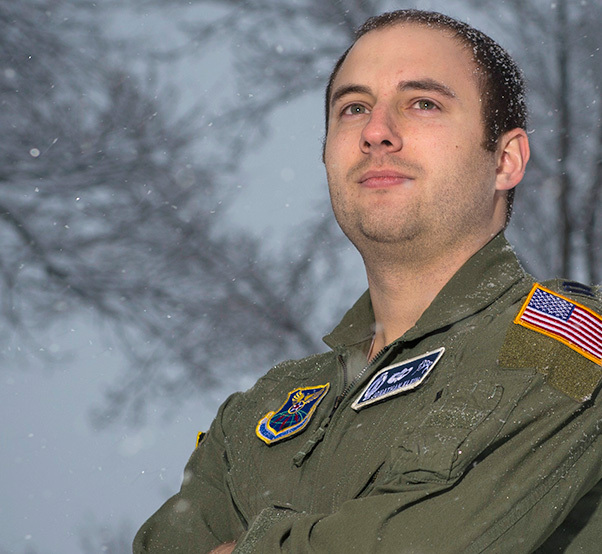 This year, the series showcases 38 stories of service by Air Force veterans. 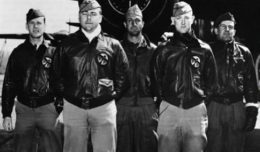 The Airmen highlighted helped maintain readiness and our nation’s security during the Cuban missile crisis and global conflicts, drove innovation to secure the service’s future, strengthened alliances and developed leaders in all walks of life – priorities for all Airmen today. Many of the veterans selected have continued their service by leading in businesses and their communities. Through the Veterans in Blue project, these service members share their personal stories of how the Air Force has made a difference in their lives. “Every veteran’s contribution has helped make our Air Force what it is today, and we are proud to be able to tell the stories of these men and women and honor their service to our country,” said 1st Lt. Kippun Sumner, 3rd Combat Camera Squadron and lead for this year’s project. * Retired Gen. Edward Rice is a 1978 distinguished graduate of the U.S. Air Force Academy. He was a command pilot with more than 4,000 flying hours in the B-1B, B-52G/H, E-3, B-2, KC-135, C-130H, T-37 and T-38. 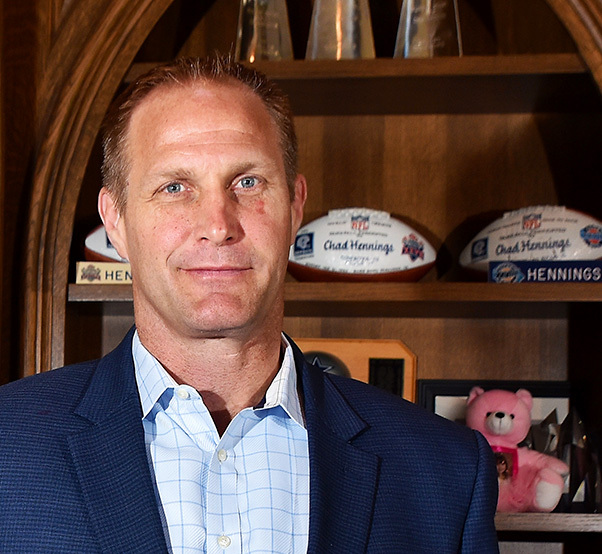 * Chad Hennings graduated from the Air Force Academy in 1988 and served as an A-10 Thunderbolt II pilot flying 45 combat missions in support of Operation Provide Comfort. After separating as a captain, Hennings played for nine seasons in the National Football League, winning three Super Bowls in four years. * Retired Col. Charlie Simpson served in the Air Force as a missileer, commissioning in November 1959 and retiring in August 1989. During his time in service, Simpson was one of the missileers on duty during the 1962 Cuban Missile Crisis. * Retired Col. Gary West flew more than 130 combat missions in F-15s and F-16s over Iraq and Bosnia before retiring in 2005. After retirement, West performed a 2,500-mile memorial bike trip along the East Coast of the U.S. in dedication to fallen service members. 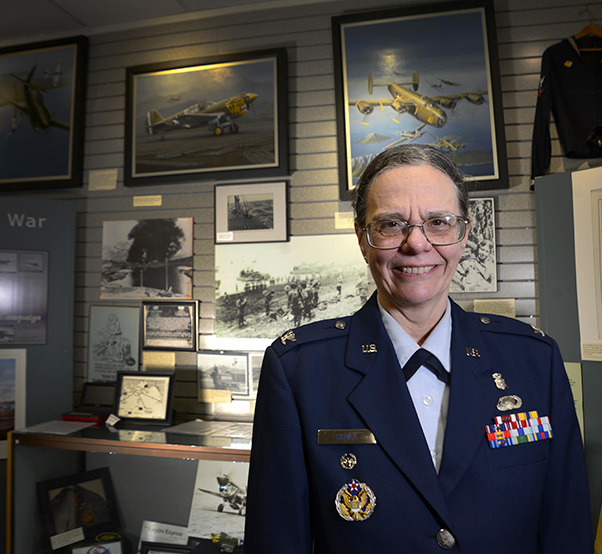 * Retired Col. Suellyn Novak is a 32-year Air Force veteran who served as a personnel officer, biomedical laboratory scientist and squadron commander. 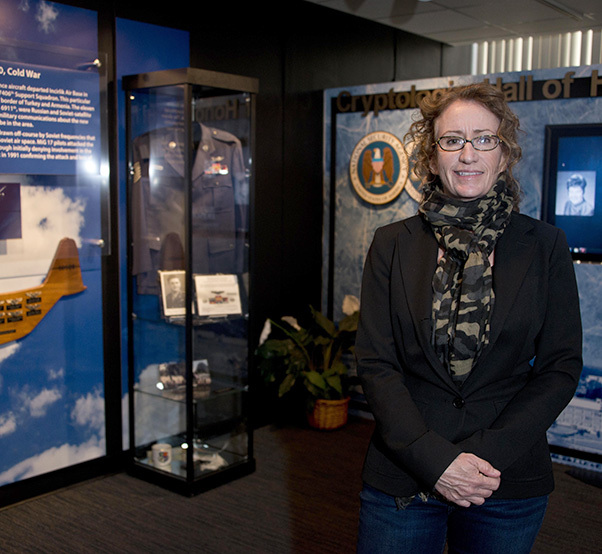 She now serves as the president of the board and executive director of a museum dedicated to veterans in Alaska. * Retired Senior Master Sgt. 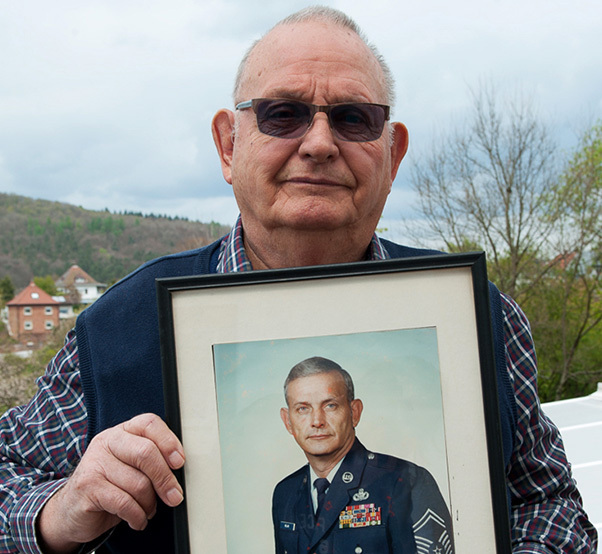 George Price served more than 26 years in the Air Force before retiring in August 1976. 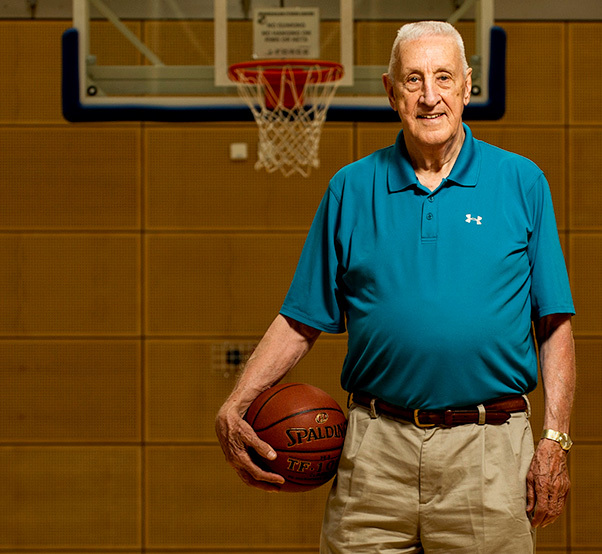 As the athletic director for Bitburg Air Base High School, Price went on to win numerous awards and was the first civilian inducted into U.S. Air Forces in Europe’s Sports Hall of Fame as the head coach with the most wins in USAFE history. * Retired Maj. Gen. Lorraine Potter was commissioned into the Air Force in 1973 as the first female chaplain. She was also the first female chaplain in the Armed Services to promote to general officer in 1999. 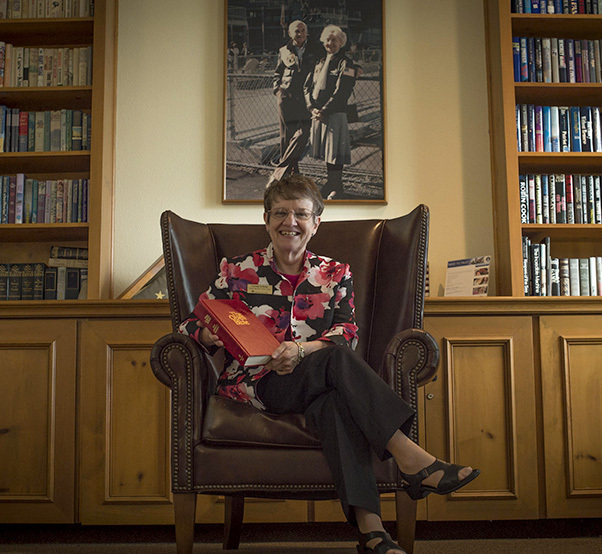 During her military career, Potter visited and preached in 39 countries and all 50 states. * Jonathan Klein joined the Air Force as a nuclear and missile operations officer. 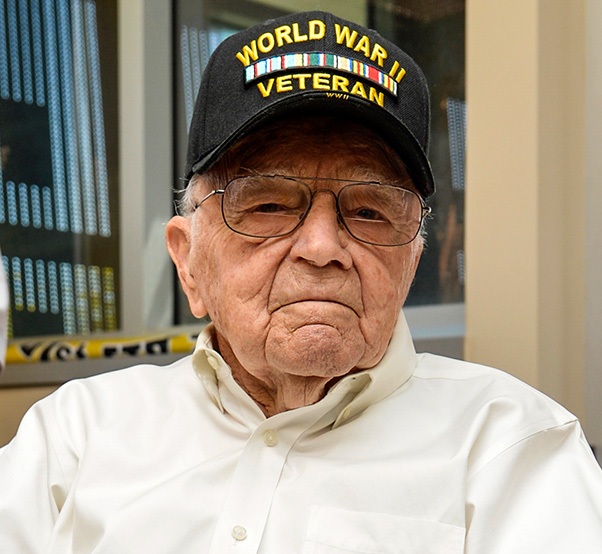 He served for a total of 242 days on alert with the 742nd Missile Squadron at Minot Air Force Base, N.D. After separating from the Air Force as a captain, Klein went on to open his own restaurant, using the skills he learned in the service to grow his business. * Retired Senior Master Sgt. 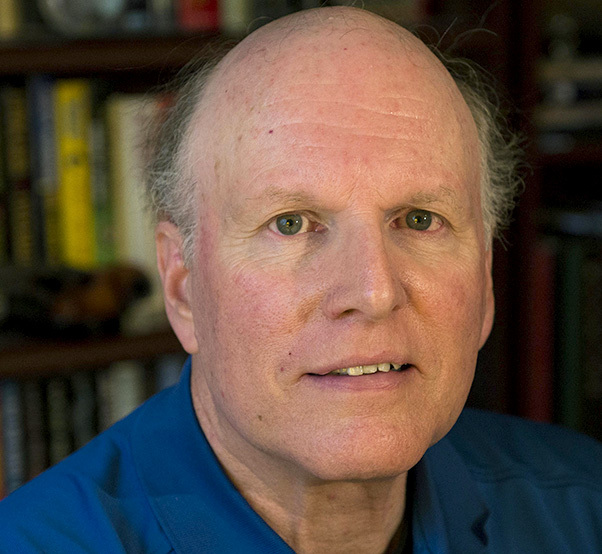 William Hardy joined the Air Force in July 1978, spending much of his 22 years of service in special-duty assignments such as first sergeant and military training instructor. 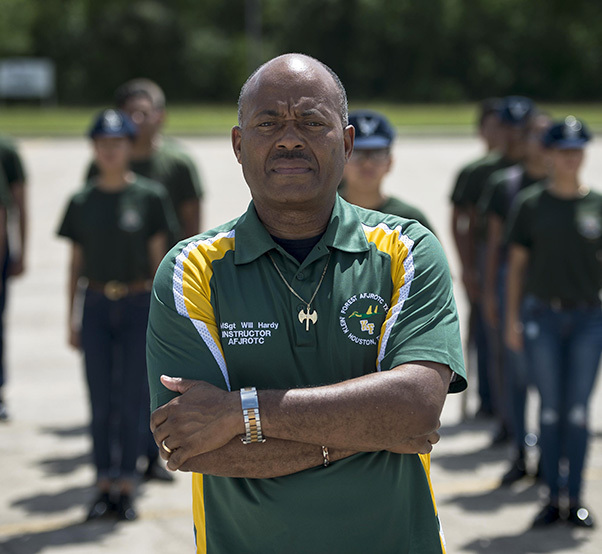 Hardy retired in September 2001 and now serves as a Junior ROTC instructor at Klein Forest High School in Houston. * Stan Standridge joined the Air Force as security specialist, serving from July 1989 to July 1993. 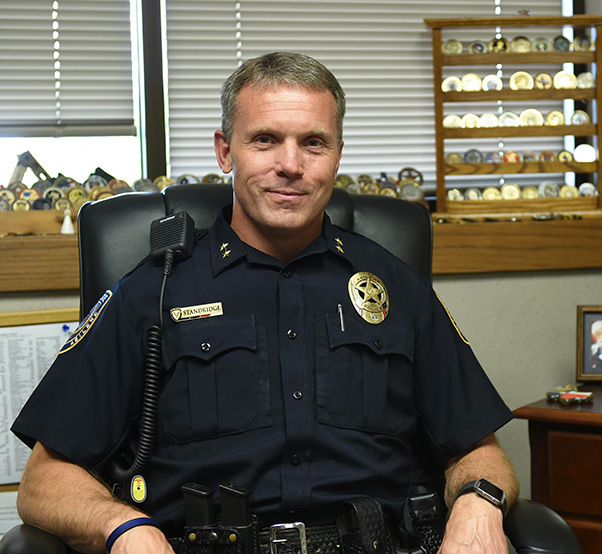 After separating, he attended the police academy and now serves as Abilene, Texas’ youngest-ever police chief. * Jerry Owens began his Air Force career in May 1968. After serving as a military working dog handler, Owens went on to work for the Dallas Police Department for 24 years. He now works as a dog trainer for a non-profit organization that provides service dogs to disabled veterans. * Retired Chief Master Sgt. 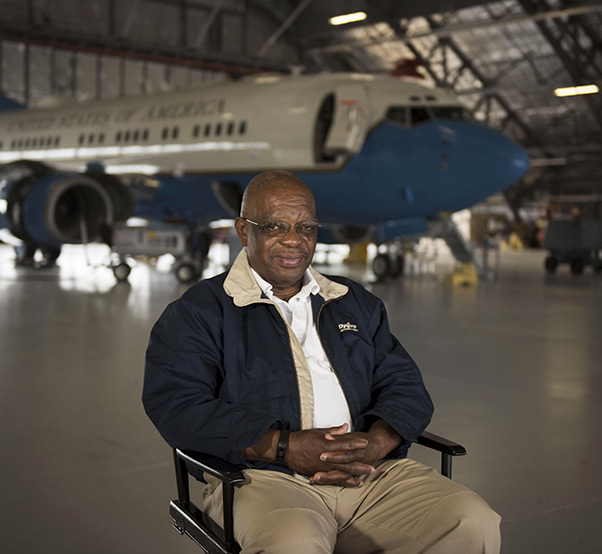 Robert Brown served as an aircraft maintainer for 26 years and was hand-picked to be part of the Presidential Airlift Group, where he served Presidents Ronald Reagan, George H.W. Bush and Bill Clinton. 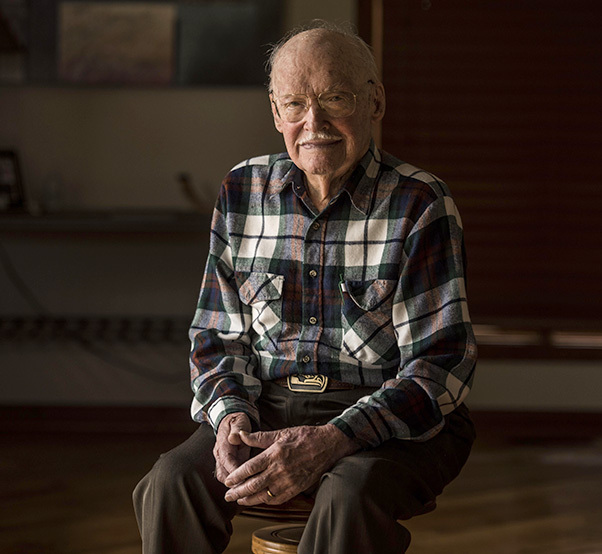 * James Forman enlisted as a private in the Army Air Corps in 1940 and served for 14 years in both World War II and the Korean War before separating as a major. During his service, he trained recruits on camera maintenance and usage and was a photo interpretation officer. 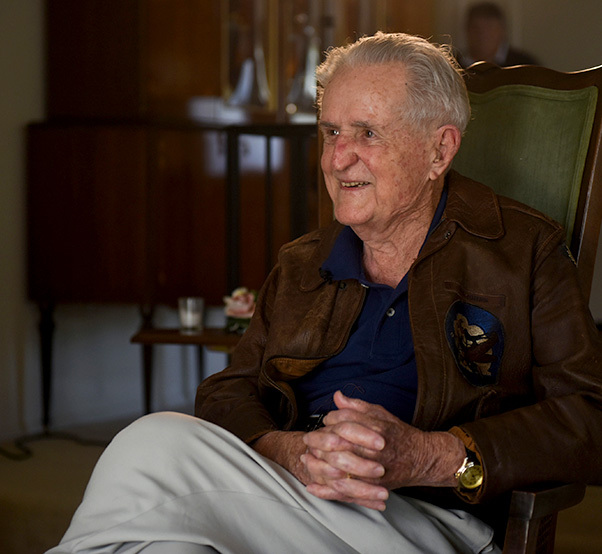 * Milton Johns flew 63 combat missions during World War II as a member of the 510th Fighter Squadron. During his career, Johns rose to the rank of major and was awarded the Distinguished Flying Cross and the Air Medal with six oak leaf clusters. * Retired Master Sgt. 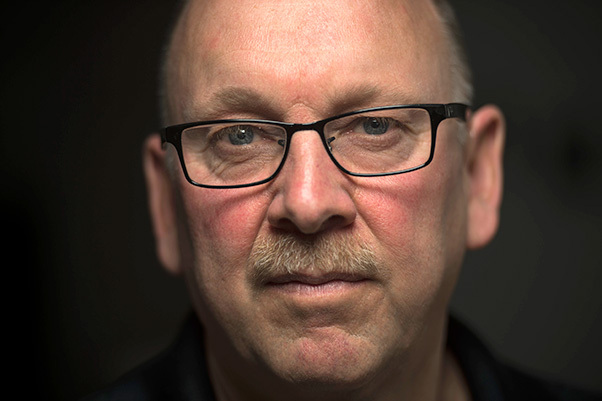 Paul Dunning joined the Air Force in 1968 and crewed the F-4Ds that participated in Operation Linebacker II, a bombing campaign over North Vietnam. 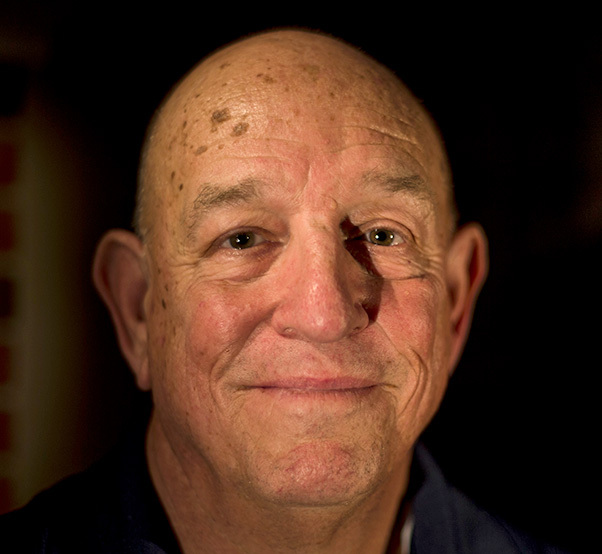 After retiring in 2002, he continues to crew aircraft as a civilian. * Retired Lt. Col. Tony Bevacqua joined the Air Force in 1952 and was the 55th person to solo pilot the U-2. He was the 158th pilot to fly the SR-71 and flew a total of 738 hours. He continues to involve himself in the Air Force community and currently serves as a member of the Liaison Committee for Beale AFB, Calif.
* Chief Master Sgt. Richard Metcalf joined the Air Force in May 1973, starting his 30-year career in maintenance as a jet engine mechanic on the F-4 Phantom II. After retiring in June 2003, he opened an alpaca farm in Clovis, N.M., and works with his wife to educate the local community about these unique animals. * Retired Col. Paul Mootz served in the Air Force for 30 years from 1959 to 1989. 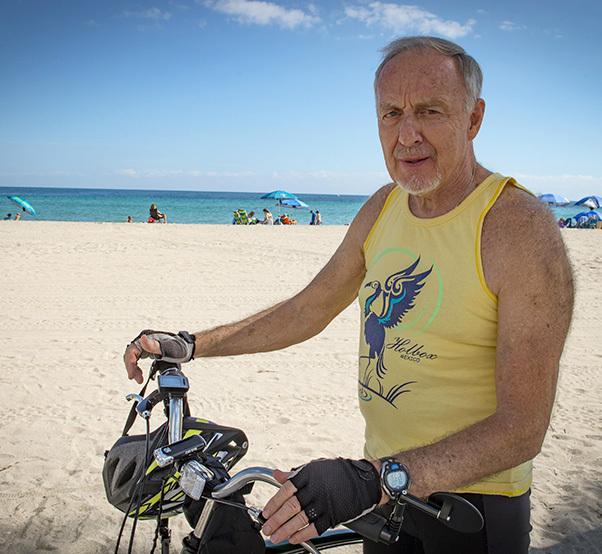 During his time in the service, he developed a passion for distance running and broke the marathon 3-hour barrier in 1972. He was also named the USAFE distance running champion in 1973 and 1974. * Retired Chief Master Sgt. 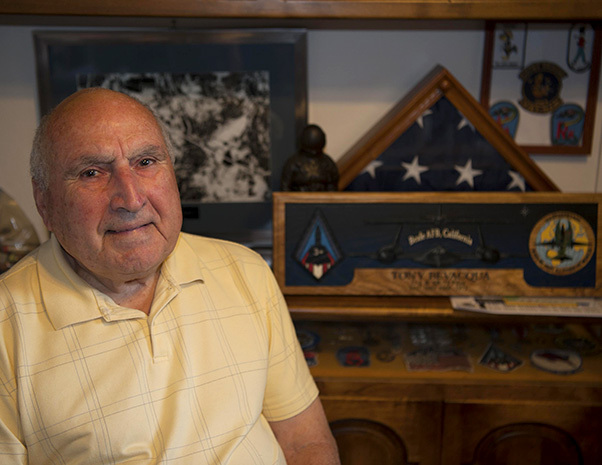 Gerry Leo enlisted in the Air Force in 1963 as an aircraft mechanic and spent much of his service in the Air Force Reserve, working for the 914th Airlift Wing at Niagara Falls Air Reserve Station in New York. 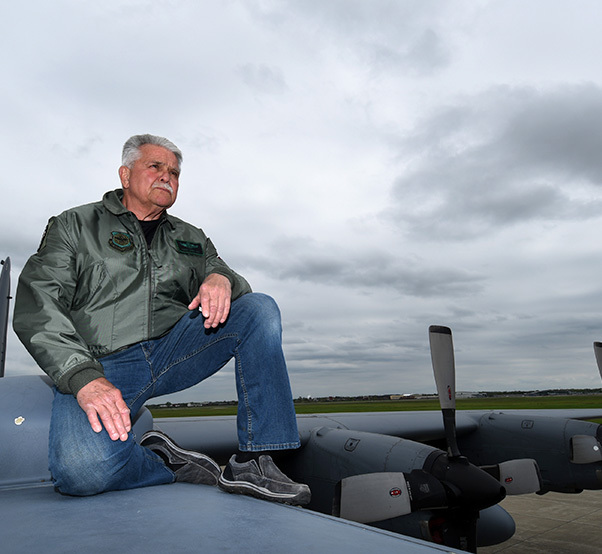 He has flown more than 10,000 hours in the C-130 Hercules as the chief flight engineer. * Ryan Daniel enlisted in the Air Force in 1996, serving as a munitions systems technician before becoming a Tops in Blue performer. During his time in service, he toured 20 countries and entertained more than 250,000 military members and civilians. 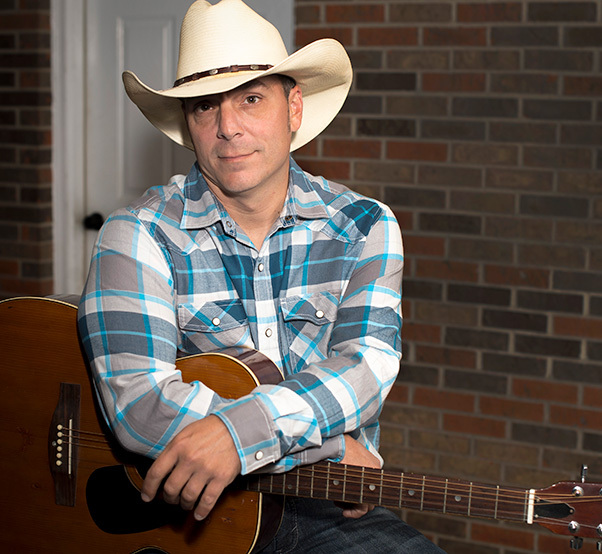 Now separated, he works as a country music artist, using his talents to raise awareness on issues ranging from post-traumatic stress disorder to domestic violence. * Retired Master Sgt. 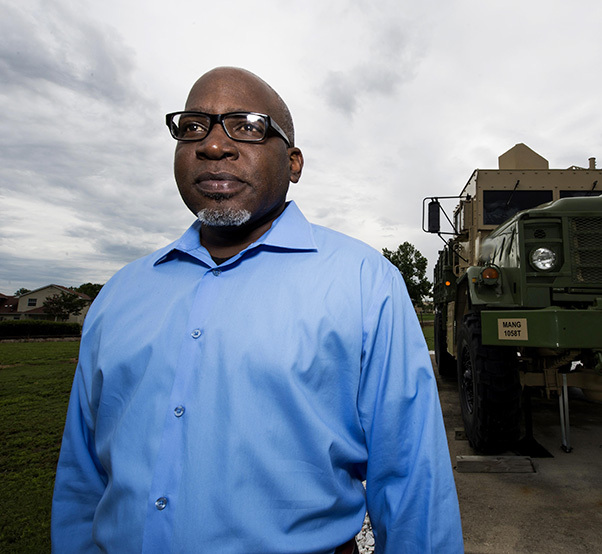 Willie Ford joined the Air Force in December 1991, beginning his career as a vehicle operator before transitioning to a professional military education instructor. 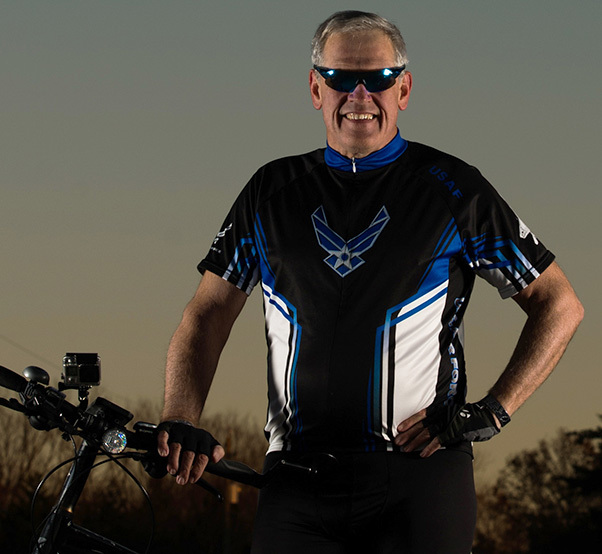 Retiring in 2011, he now works as a professional military education curriculum developer at Maxwell AFB — Gunter Annex, Ala.
* Retired Master Sgt. 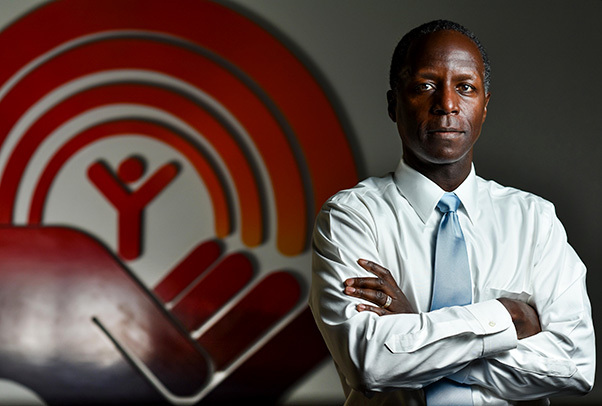 Gregory Passig joined the Air Force in 1990 and deployed to Korea, Oman, Iraq, Afghanistan and Kuwait before retiring in 2012. 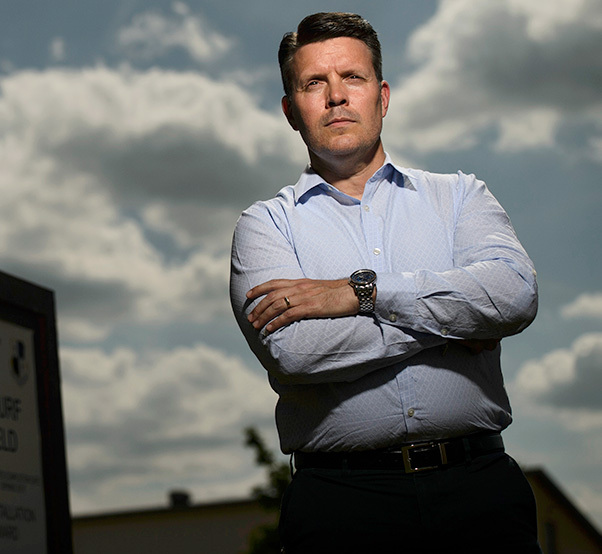 He now works as the Director of Business Operations for the 52nd Contracting Squadron, Spangdahlem Air Base, Germany. * Retired Col. Thomas Fagan joined the Air Force at the height of the Vietnam War in 1968, initially serving as a missileer at F.E. Warren AFB, Wyo. 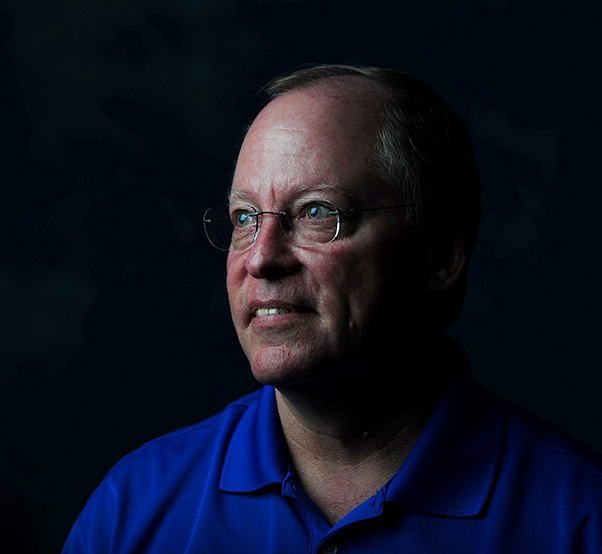 Throughout his 30-year career, he served as a missile combat crew commander, and was one of eight military personnel chosen to build the U.S. nuclear war plan. * Retired Chief Master Sgt. Charles Milam joined the Air Force in 1955 and was one of the first air policemen to ride the Indian 34 motorcycle. Milam supervised 11 Airmen assigned to the security detail for the Presidential Adviser on Vietnam Affairs and trained Vietnamese guards who provided security for embassy staff members and their families. 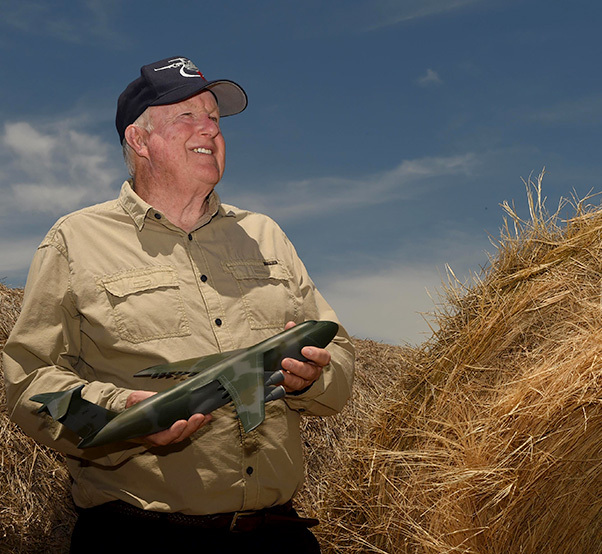 * Retired Lt. Col. John Marusiak Jr. completed a total of 105 missions over Europe during World War II, including providing ground cover during the invasion of Normandy on D-Day, June 6, 1944. 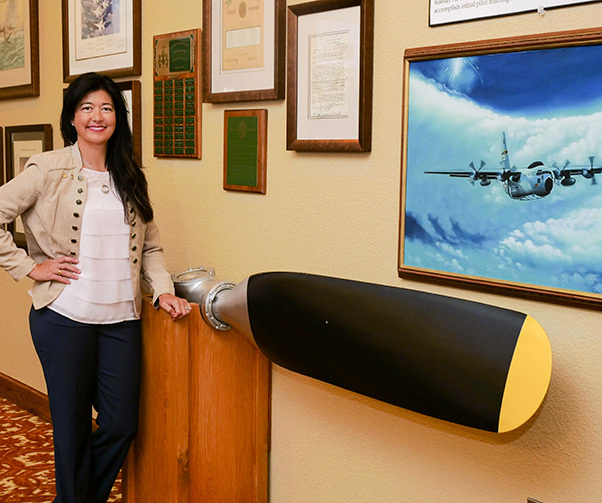 * Retired Lt. Col. Janet Pattison joined the Air Force in June 1992, starting her career as a missileer at F.E. Warren AFB, Wyo., before retiring in February 2012. She now co-owns and operates her own business with her husband in Biloxi, Miss. 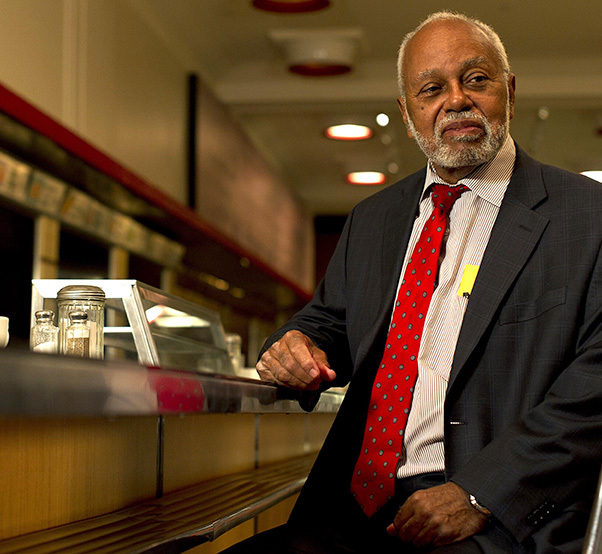 * Retired Maj. Gen. Joe McNeil was part of the “Greensboro Four” as a college student, sitting down with three of his friends at a Woolworth’s “whites only” lunch counter in February 1960, sparking a youth-led movement to challenge racial inequality. He served for 32 years in the Air Force and the Air Force Reserve before his retirement in 2001. 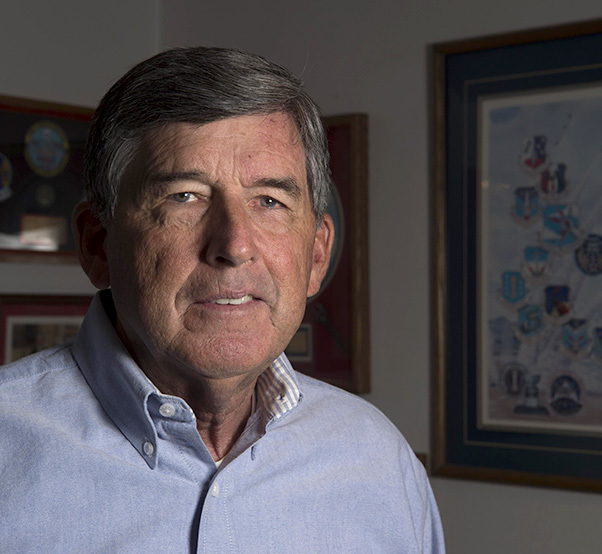 * Retired Col. Bruce Sturk is a 26-year Air Force veteran who commissioned in 1980 and served as an air battle manager. 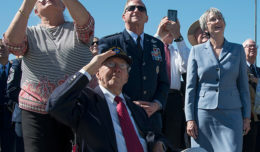 He is currently involved with the military community as a member of the Military Affairs Committee and president of the Civic Leaders Association at Langley AFB, Va.
* Aubrey Palmer joined the Air Force as part of the buddy system in November 1970. He served in the air cargo career field at McChord AFB, Wash. After his separation, he went on to work as an engineer for Jefferson County, Wash., for 26 years. * Irving Tyrrell Jr. commissioned into the Air Force in 1971 as an air weapons controller. While in the service, he gained an interest in computers and returned to school to earn a degree in computer science. * Retired Lt. Col. John Kidd served for 24 years in the Air Force, flying more than 7,000 hours before retiring as a C-5 instructor pilot. 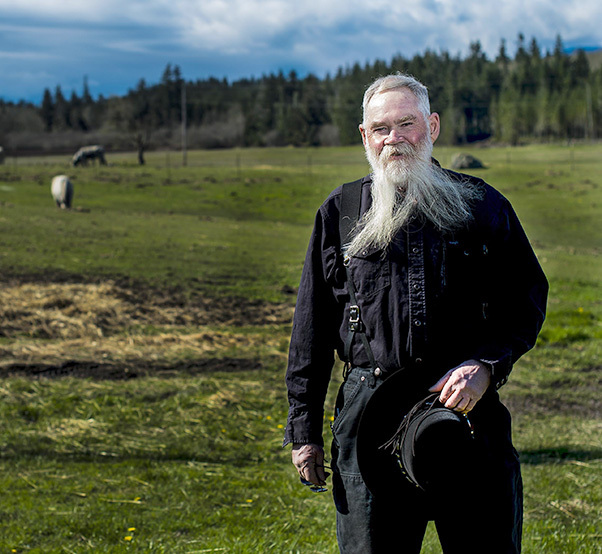 He now spends his time working on a hay farm in Jackson County, Okla.
* Retired Master Sgt. 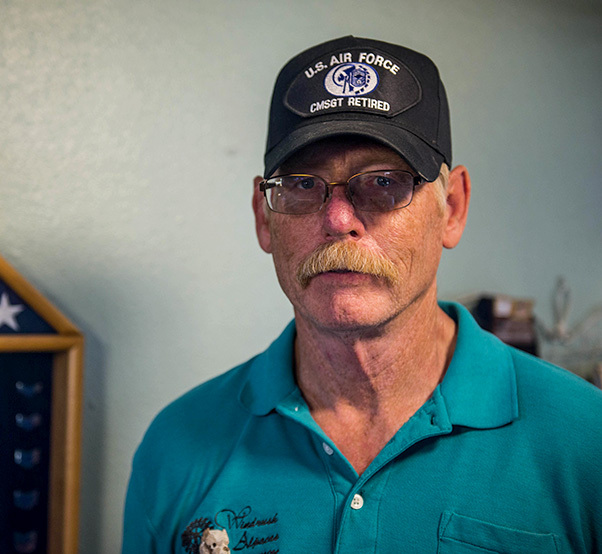 James Rangitsch entered the Air Force in 1979 and was deployed to Dharan Air Base, Saudi Arabia, in support of Operation Southern Watch. 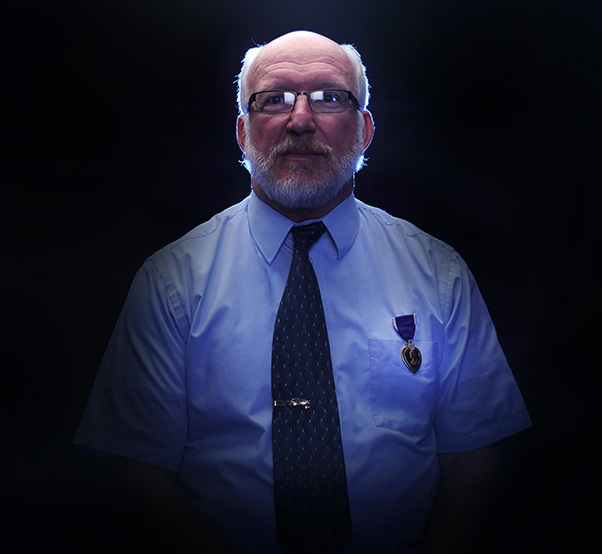 He was awarded the Purple Heart during the Khobar Towers incident. * Retired Master Sgt. Beth Yandow joined in the Air Force in July 1984, and was the first female to qualify as an airborne mission supervisor on the RC-135 in April 1995. * Retired Lt. Col. Elis Salamone began her military career in the Army before commissioning as a nurse in the Air Force. 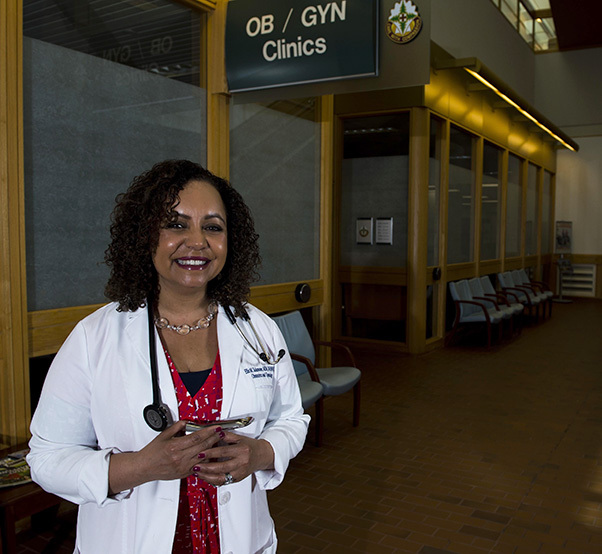 She proved herself not only as a nurse, but as a leader by managing multiple medical staff members in Germany, where she tended to injured troops returning from Iraq and Afghanistan. 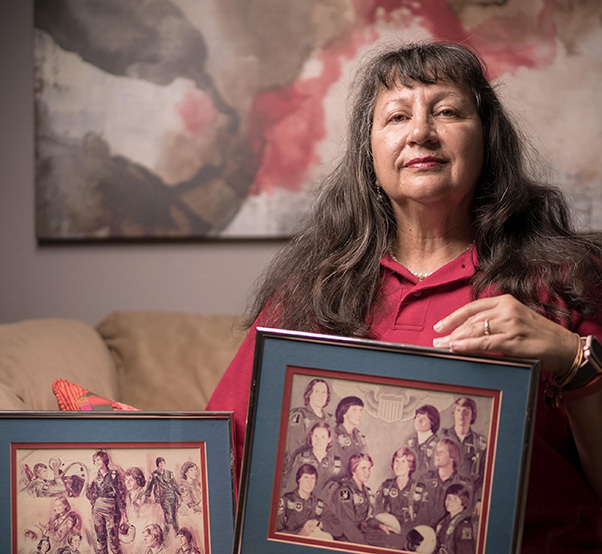 * Kathy Durst was one of the first female Air Force Academy cadets, graduating in the top 10 percent of her class. After commissioning, she served as a T-38 instructor pilot. 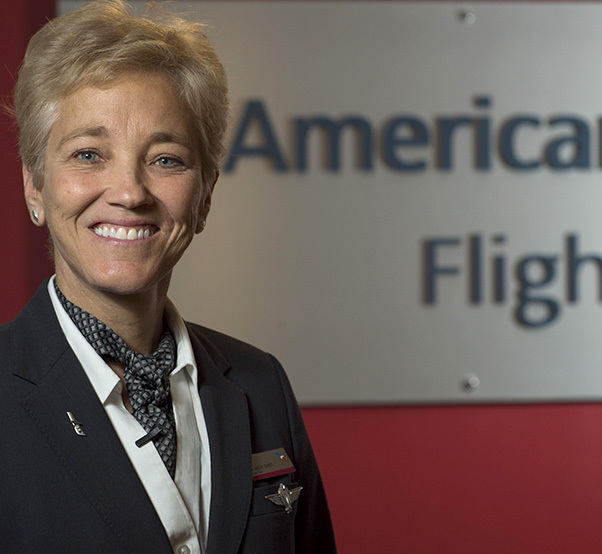 She now works as the first female chief pilot for a major U.S. airline. * Retired Col. Kathy Cosand was part of the first group of women to graduate from the Air Force Undergraduate Pilot Training program. She was the Air Force’s first female aviator qualified on the C-141 and the first female to earn the Air Medal in 1978. * Retired Chief Master Sgt. Leslie Jones joined the Air Force in November 1983, serving for 30 years. He was deployed in support of numerous operations overseas, and now works at the lodging office at Spangdahlem AB, Germany. Each veteran’s portrait will also be displayed on the fifth floor of the Pentagon in A ring between the eighth and ninth corridor.